Like the rest of France's auto industry, Peugeot was forced to turn its plants over to German war production. 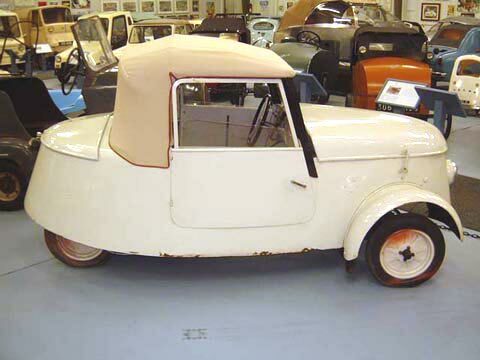 The drawing office hummed with secret projects, among them the Voiture Legere de Ville (Light City Car). 377 were made. Speed from its electric motor, supplied by four 12V batteries under the hood, was 20 mph, and the range was 50 miles. Length: 2 670 mm Gearbox: N/A Steering: ?